here you can download the jQuery prettyFile Plugin and Use the following code to replace a file input like a "Update Photo" link. 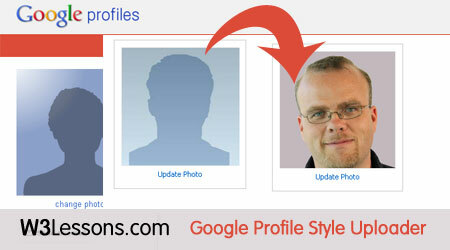 and Turn your interface look like a Google Profile Photo update page with PHP Ajax Uploader without refreshing the page. I know how to load 2 images into two different tables. Thanks! I cant download the repaired script. Would you please re upload it? Thanks from Mexico.